"My nephew took a second prize for design on his car that he entered into his cub scout derby. He was thrilled!" 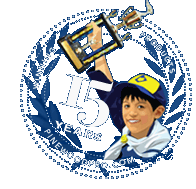 Add HOT flames behind your wheels, sides of your car and on the hood with these high quality pinewood derby car decals...your car will be too hot to handle! Turn your car into an Inferno and burn the competition!! High quality, vinyl decal stickers. They are pre-cut for quick, easy application...just peel and stick! Worked good and looked great once you get them off the backing. Would use again. Shipped as promised. EASY TO USE STUCK PERFECT AND LOOKED GREAT. Worked as expected and arrived on time. looks great on car. My nephew took a second prize for design on his car that he entered into his cub scout derby. He was thrilled!